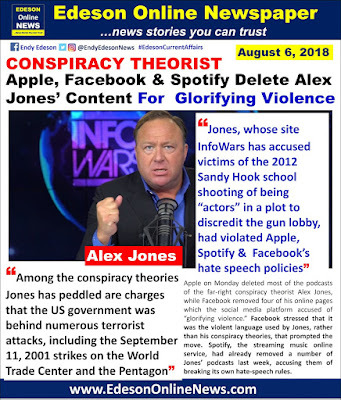 Facebook stressed that it was the violent language used by Jones, rather than his conspiracy theories, that prompted the move. Spotify, the streaming music online service, had already removed a number of Jones’ podcasts last week, accusing them of breaking its own hate-speech rules. 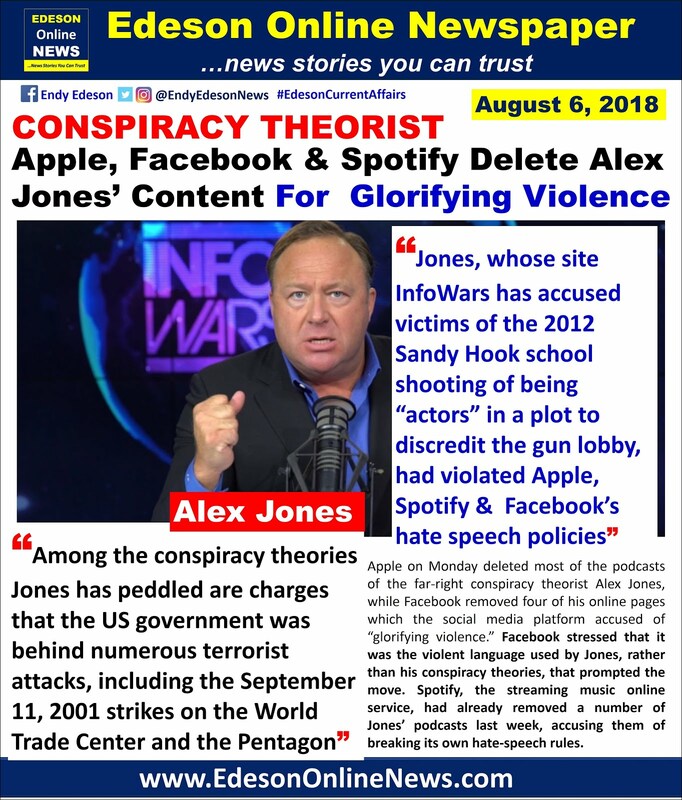 Jones, whose site InfoWars has accused victims of the 2012 Sandy Hook school shooting of being “actors” in a plot to discredit the gun lobby, had violated Apple, Spotify & Facebook’s hate speech policies. and that the parents of the murdered first-graders were actors, an accusation that has sparked death threats against some of the bereaved mothers and fathers. Several of the families have sued the 44-year-old Texan, accusing him of using their suffering to expand his audience. Jones has counter-sued, demanding in turn that they pay his court costs.